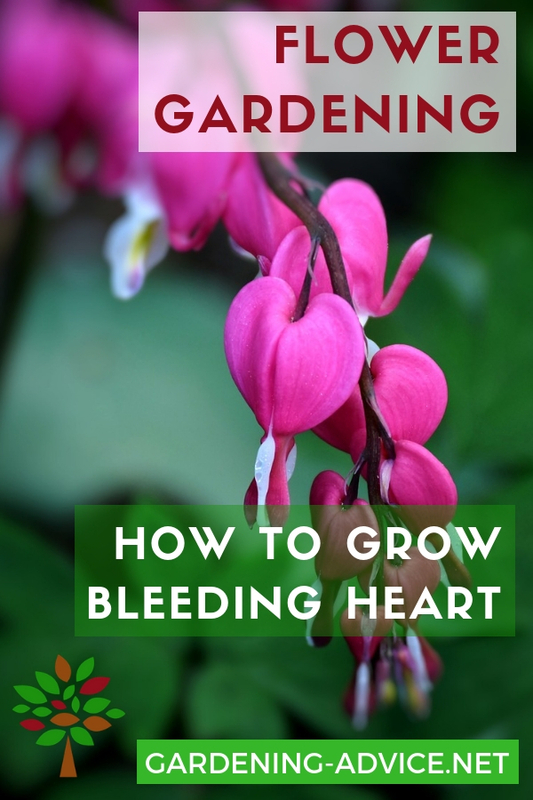 Bleeding Heart Plant Care Tips. 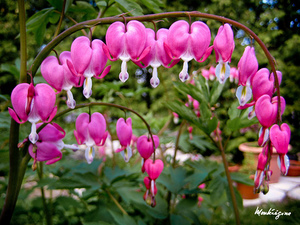 The Bleeding Heart Flower is one of the most beautiful perennials for the shaded parts of your garden. 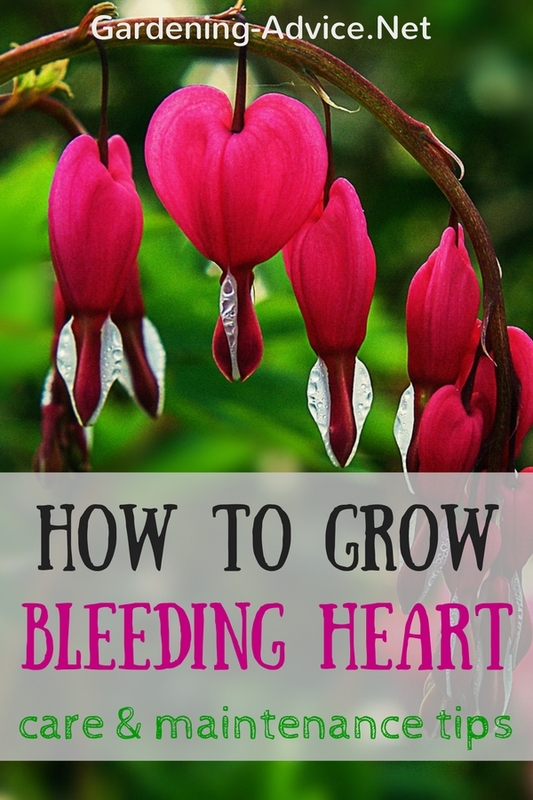 Learn how to grow and transplant the Bleeding Heart perennial. 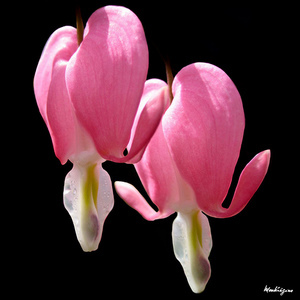 The Bleeding Heart flower (Dicentra spectabilis) is one of the most popular perennials for shade gardens. 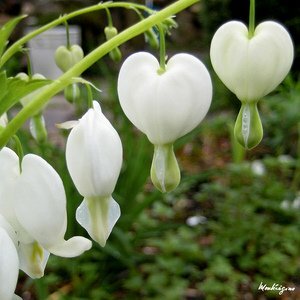 The unusual shape of their flowers really remind you of a bleeding heart. This delicate looking perennial plant has its origins in China and Korea and was introduced to Europe in 1847. The plants reach a height of 30 to 32 inches and produce their beautiful flowers in the spring. Dicentra plants like a lightly shaded spot in front of larger trees or shrubs. The soil should be humus rich and not too heavy or dry. Soggy or waterlogged soil does not suit them. 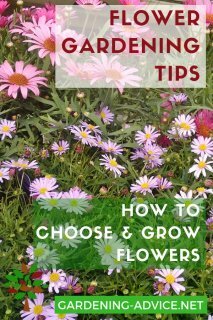 In general they are easy to grow and you will surely find a spot in your garden to grow these beautiful plants. Ideal companions are other shade tolerant perennials like Primulas, Aquilegias, Epimediums, Ferns or Hostas. 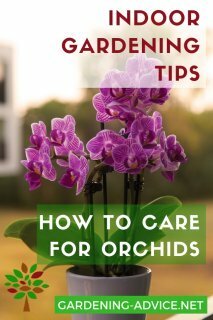 It is not only the flowers that make these plants so valuable for your shaded garden areas. The beautifully cut foliage enhances and sets off the flowers and adds additional interest to the garden. There are several ways to propagate bleeding heart plants. 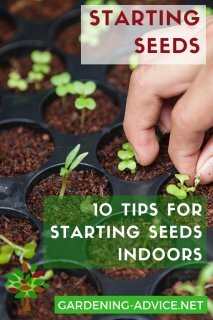 Seeds: you can sow the seed either in the ground or in seed trays. This is the preferred method if you require a lot of plants. Cuttings: take some cuttings in the spring when the plant starts to sprout or take of side shoots after the flowers have wilted away. Division: divide older, established plants while they are dormant. 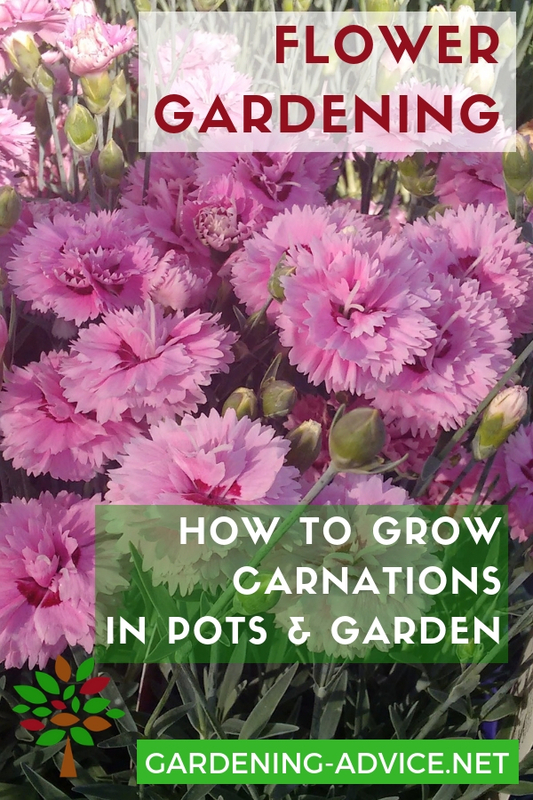 Replant them in the garden or grow them on in pots. Dicentra plants don't particularly like to be disturbed and can easily stay in the same place for over a decade without being split. If you have to transplant Bleeding Heart perennials do it when the plants are dormant. Very early spring before the plants start growing again might be the best time. Lift up the plant and divide the rootstock into several pieces. Add plenty of well rotten garden compost to the soil and replant the roots. Water the plants in well to settle the soil around the roots. A white Bleeding Heart with pure white flowers. This variety is not as vigorous as the pink one but it is very attractive in front of a dark background. This one reaches only about 8 inches in height. 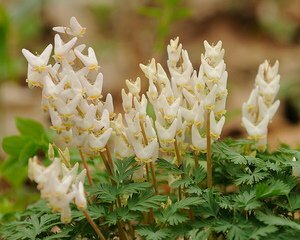 The flowers are white with a yellow tip and appear from April to May. The plant dies back shortly after flowering. Dicentra cucullaria is also called 'Dutchman's Breeches'.